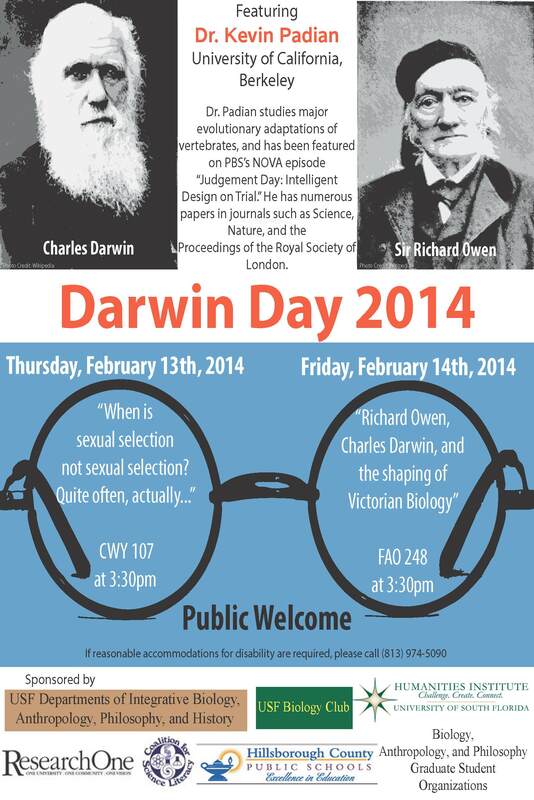 1) 2/14 12:30 pm: Fins, limbs and the evolutionary leap from water to land. 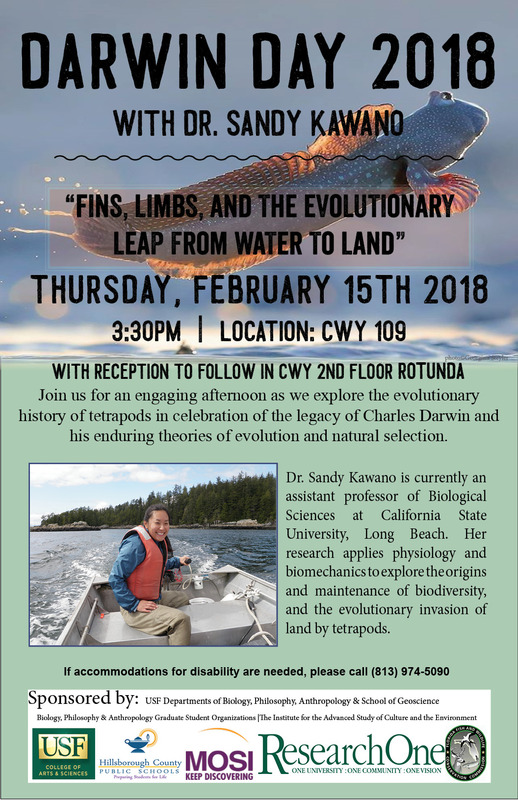 1) 2/15 3:30 pm: Fins, limbs and the evolutionary leap from water to land. 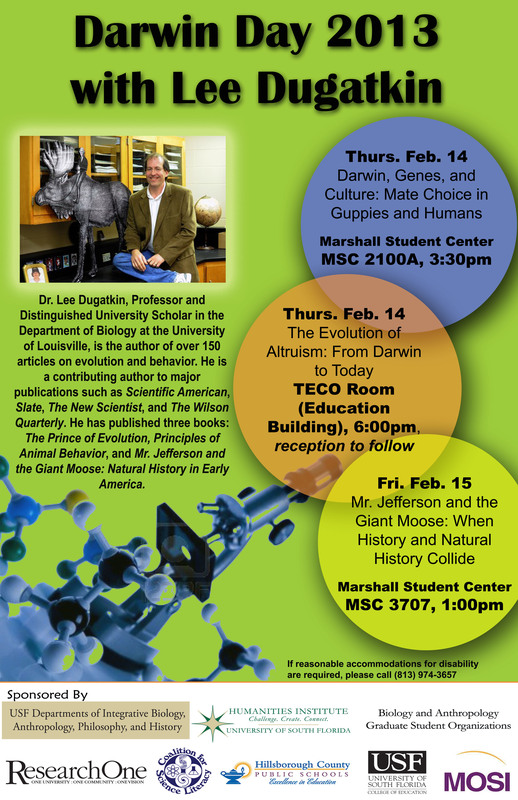 3) 2/14 HCPS Teachers workshop at Museum of Science and Industry (MOSI) including Keller's "Darwinian Fundamentalism"
4) 2/15 HCPS Teachers workshop at College of Engineering, including Padian's "Common Misrepresentations About Evolution (And How To Resolve Them)"
3) 2/15 1 pm History & Philosophy Lecture: Mr. Jefferson and the Giant Moose du jour? 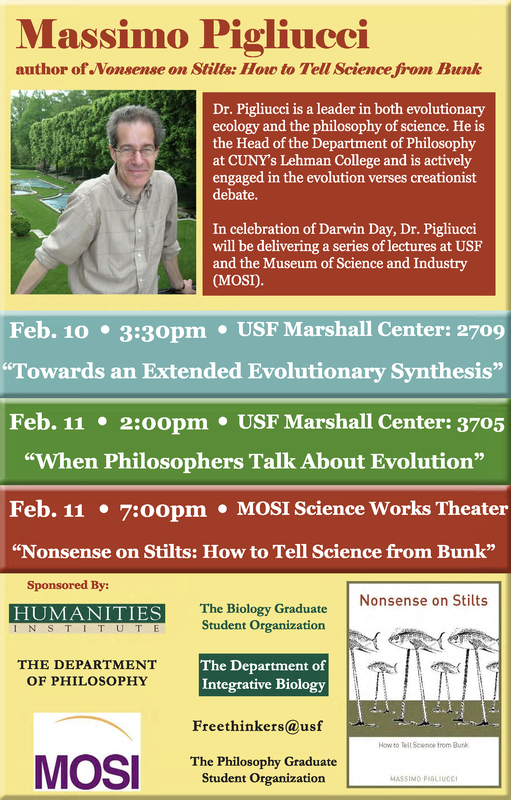 5) 2/16 HCPS Teachers workshop at MOSI, including Dugatkin's "Microbial Darwinism"
2) 2/11 7pm Public Lecture: Florida's "critical thinking" bills: Creationism du jour? 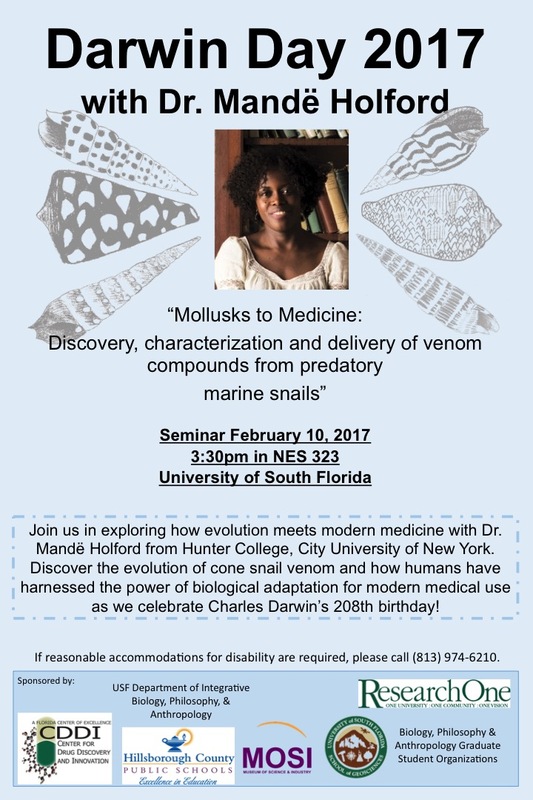 4) 2/13 HCPS Teachers workshop at MOSI, including Scott's "Teaching Evolution in a Climate of Controversy"
1) 2/10 3:30 IB Lecture: Toward an Extended Evolutionary Synthesis?